Our latest wedding cake for our friends Josh and McKann who got married on Thursday. They wanted a simple cake, not too big, not too fancy, with flowers to match the bouquets and decorations so here is our contribution. The bottom layer is actually fake and the top layer is brown sugar cake (adapted from the White Almond Sour Cream cake recipe, just replace the sugar with brown sugar) with our favorite buttercream icing and then Wilton brand fondant from Michaels. 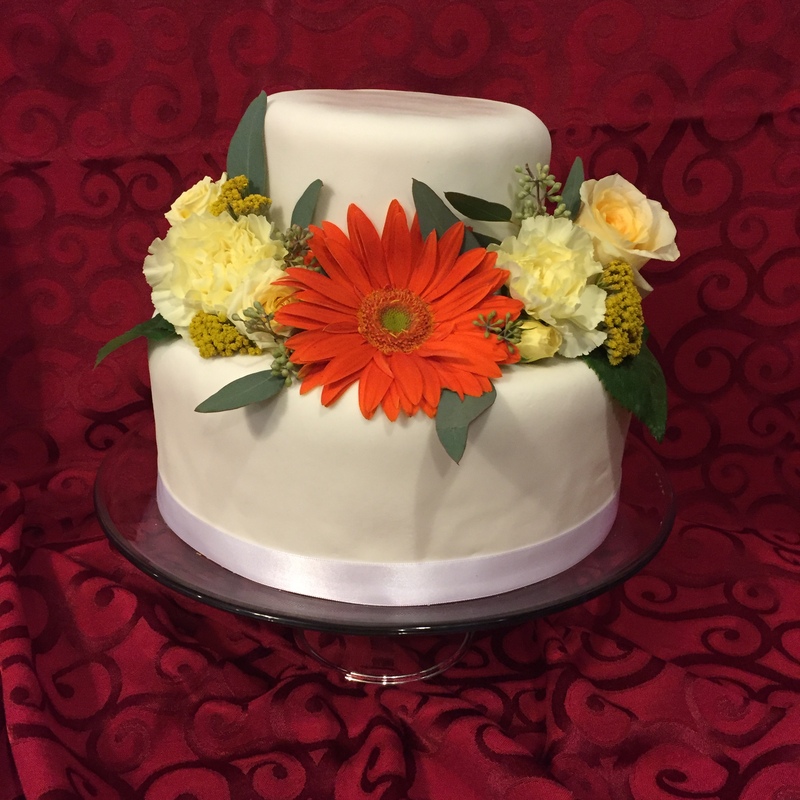 I love the Gerbera Daisy on this cake, such a cute focal point. Congratulations to Josh and McKann! And thanks for letting us be a part of your big day!